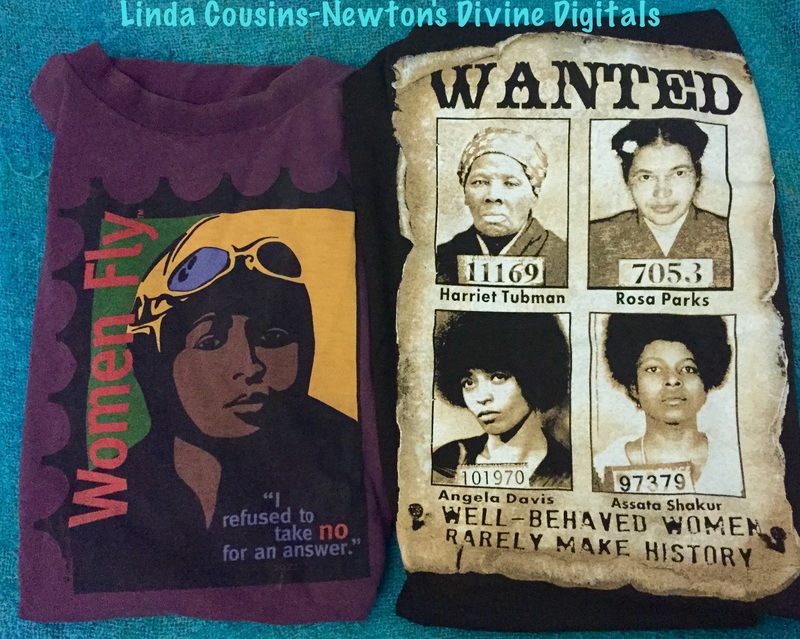 Upon further thought, one also becomes aware that the great ones who have traversed our lifepaths extend far beyond the courageous global sisters depicted on a couple of my favorite t-shirts depicted here, but also to those who have crossed and blessed our contemporary everyday existence. Whether it be the grandmother who taught us the art of storytelling, the teacher who guided us to see and explore our deepest potential, or the sister friend whose awe-inspiring personal art or literature enhances our lives, we learn that history is not always remote or of bygone eras but is also an ongoing sometimes very personal unfoldment of life-lifting events and people. My friend, Rev. Hasifa Rahman, frequently honored me by labeling me a “living ancestor”; however, there are innumerable living ancestors throughout our world, if we only have the vision to behold. 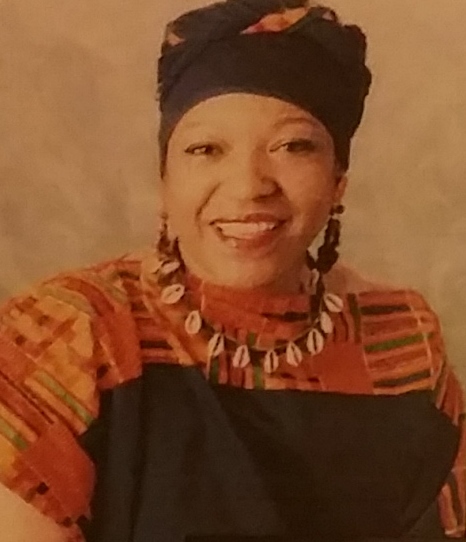 NABS is replete with such diversely talented ancestral contributors, beginning with our co-founder, Mama Linda Goss. On the occasions when I have been blessed to chat with this walking storehouse of history and folklore, the conversation has soared far beyond an ordinary chat to one of rich sharings of literary, art, and folklore resources, as well as a plethora of information on outstanding contemporary contributors right in our midst. Now for a bit of griot “indirection”, my grandson has been enthralled with mermaids ever since he has been able to talk. Although he has a “gazillion” toys both at home and at Grandma’s place, his most profound play time seems to revolve around the fringed bookmarks I ordered from the Asamoah family kente weavers of Ghana; a few of them comprise his “mermaids” of varying personalities (and sometimes “attitudes”!) As time has moved on, my interest has also expanded from collecting Seminole memorabilia for my Black Seminole lectures and exhibits to collecting Black mermaid jewelry and literature, inspired largely by the Mama Linda sharings and the Black Mermaids group I joined on Facebook. 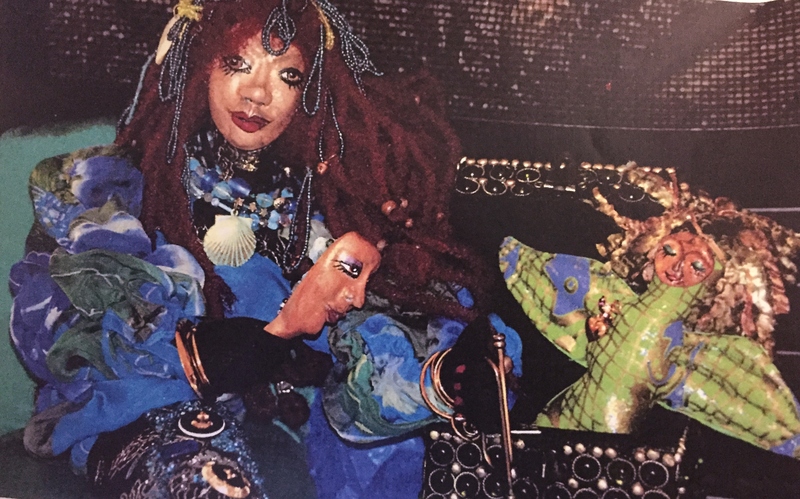 In addition, I have come to deeply appreciate the great folkloric art, particularly the Black mermaid creations, of one the contemporary great NABS contributor, Carolyn (“Kooki”) Davis of Seattle, Washington. 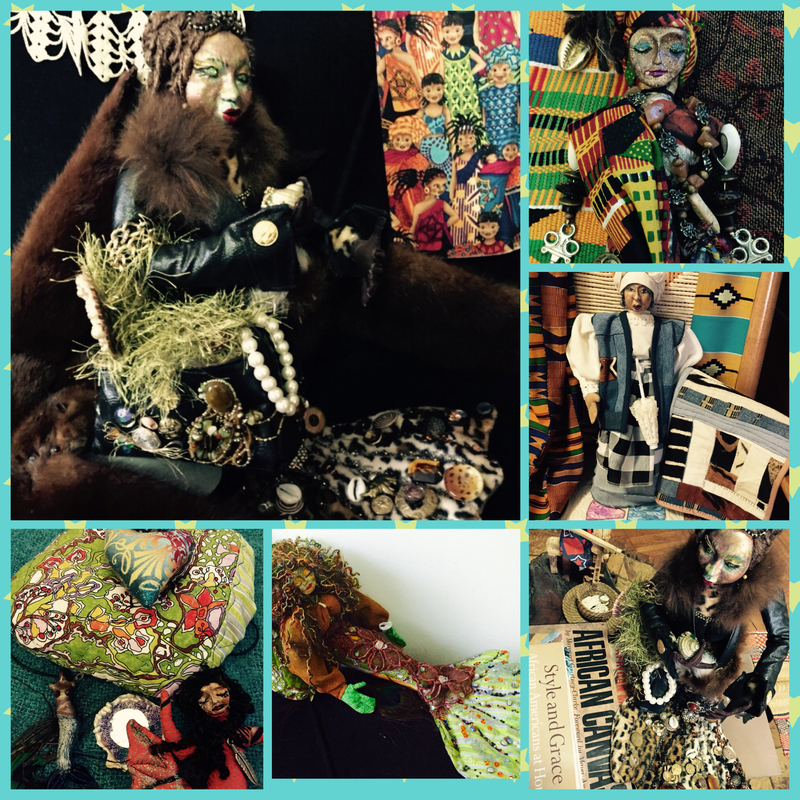 A Caribbean-born storyteller as well as wearable art and ancestral doll creator, Kooki is renowned for her show-stopping coats, vests, and jackets, several of which have been purchased right off her back; (only to reveal an equally gorgeous piece layered underneath). I am particularly proud of her stunning mermaids which have recently swam into my world and of the grandma quilter doll (with her own mini quilt) which reigns in a spot of honor in my ancestral hallway, a tribute to the many talented quilters who have crossed and blessed my life. 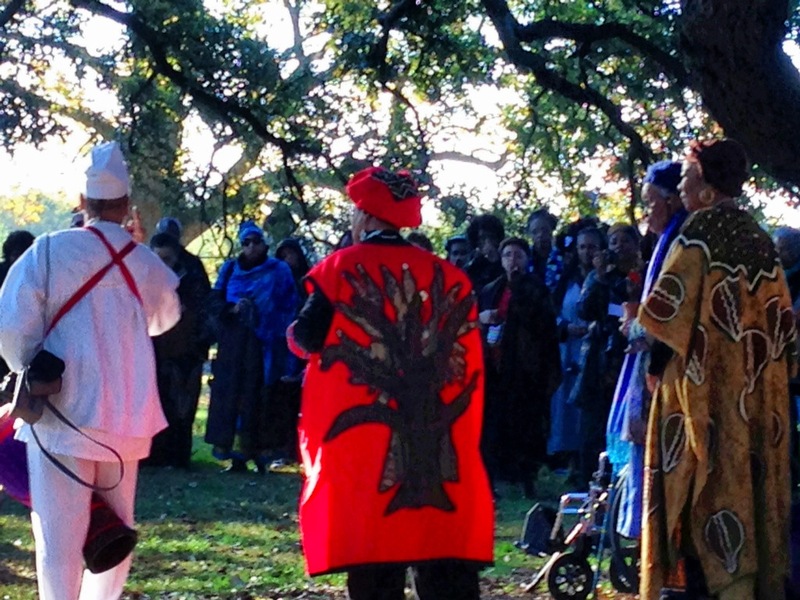 Then there is the kente-clad “wisdom seeker” with knowledge keys for hands. Lastly, just check out, if you will, the piercing gaze of the fur-bedecked mid-aged doll whom I call “the mermaid diva”. What a story this fiercely proud sister mermaid has to tell. She has evidently paid her dues! Collecting of the work of this great living ancestor and supremely talented folklore artist, Kooki Davis, is an artistic life enhancement, as I’m sure many NABS members and “Kooki creation collectors” would agree. I am so pleased that I have learned to recognize that historymakers and contributors are not always of the distant past but oftentimes those like this skilled folkloric artist who actually grace our contemporary world.